The Air-Bike (Airbike) is back and produced again in the USA! J L A is now the US manufacturer of Air-Bike kits and parts for the overseas market. 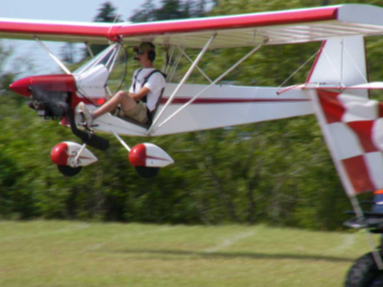 These great aircraft are easy to build, simple to operate, and available again in the US at 1999 prices. Counter Fulfill the dream of building your own airplane... At a price you can afford. Build from our plan sets, short-kits or full assembly kits. J L A is commited to providing the grass-roots aviator with fun, cost effective aircraft and accessories backed by customer support from pilots who fly what they sell.